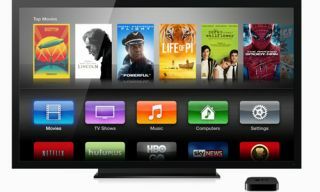 Apple TV gets Sky News in the UK and US, plus HBO GO and WatchESPN in America | What Hi-Fi? Sky News is now available on Apple TV in the UK, US and Ireland, while American owners of the device also get HBO GO and WatchESPN. The extra channels comes as part of software version 5.3 for second- and third-generation Apple TV boxes, being rolled out today. "HBO GO and WatchESPN are some of the most popular iOS apps and are sure to be huge hits on Apple TV," says Eddy Cue, Apple’s senior vice-president of Internet Software and Services. "We continue to offer Apple TV users great new programming options, combined with access to all of the incredible content they can purchase from the iTunes Store." Sky News on Apple TV delivers a live 24/7 news feed to users in the US, UK and Ireland, including breaking news and headlines from business, politics, entertainment and more. In addition to the live feed, users can catch up on specific stories at any time via the extensive on-demand news library. HBO GO gives users with a paid cable subscription to HBO unlimited access to their favourite HBO shows such as Game of Thrones, Boardwalk Empire and The Wire, while WatchESPN delivers a host of live sports coverage for those who already subscribe to ESPN's network. Further additions to Apple TV include Crunchyroll – a video streaming service specialising in Japanese animé and Asian media – as well as Qello, an on-demand streaming service for high-definition concerts and music documentaries. More: Apple iTV to be an OLED TV? Apple also revealed iTunes users have downloaded more than one billion TV episodes and 380 million movies from iTunes to date, with over 800,000 TV episodes and 350,000 films bought every day. John Ryley, Head of Sky News, commented: “Sky News is always interested in embracing technology that lets us reach our viewers wherever they want to watch our award-winning coverage. The question of other Sky apps, such as Sky Go or Now TV, appearing on Apple TV is an obvious one but for now we'd imagine it unlikely due to Apple's own content offerings via iTunes.